This easy recipe shows you how to make the best potato crusted vegan quiche in the world! Or at least I think so 🙂 It has an egg texture and delicious creamy mouth feel. Personally I love the combination of spinach, artichokes and pumpkin in this eggless quiche recipe. The flavors combine so well and taste amazing! First of all you are going to need a 9.5" or 24cm round pie dish lightly oiled and a high quality blender or food processor. Set the oven to 200 degrees C or 400 degrees F so it can get up to temperature. Place the pie dish in the oven for approximately 10 minutes until the potato edges are starting to brown and the flesh has softened. While the crust is cooking place all the filling ingredients except the artichokes, spinach and pumpkin in your blender/processor and blend until smooth and creamy. Now add the spinach and artichoke and pulse the blender/processor until they are coarsely chopped. Once the crust is ready, take it out of the oven and onto your bench top. Pour the quiche filling into the dish leaving approximately 2cm (3/4") at the top, then smooth the mixture out nice and evenly. Now pour the steamed pumpkin over the top over the mixture and gently work the pieces in making sure some of the pumpkin is left exposed. The exposed pieces will slightly caramelise adding delicious flavour to the quiche! Sprinkle the top of the quiche with your favourite seasoning, I used nutmeg and pepper! Finally, place the quiche dish back in the oven at the same temperature for approximately 30 minutes or until the exposed potato and pumpkin tips are golden brown. Once cooked, set the quiche out on a bench to cool for 5-10 minutes so it can firm up. Serve the quiche with your favourites sides. I like a nice garden salad with a little balsamic vinegar! amazingly delicious! I’ve been vegan for over 10 years and never have been able to find the perfect quiche recipe. This is definitely it! So easy and incredibly rich and creamy. I subbed the pumpkin for blanched broccoli, carrot and onion. Thank you! I made this. Didnt have artichoke in pantry so put in diced red capsicum instead. This was soooo yummo. My husband and i gobbled it up. Next time i’m going to sprinlke fresh rosemary on the pumpkin, then it will be even more out of this world. I must say, i am not vegetarian, but i am enjoying your recipies. I have fodmaps problem and your food fits right in with my diet mostly. Only needs minimal tweeking. Keep bringing out your recipes, i love them. Thank you for doing utube videoes, i always thought vegetarian would be too complicated. Your videos show how simple it is. 1. To get chickpea flour, can I just blend uncooked garbanzo beans in the blender? 2. I don’t use salt. What can I substitute? Smoked paprika? Thanks for your creativity & generosity! The flavors were good but the texture for mine was pasty. Perhaps I pulsed the artichokes and spinach too much. I am thinking that next time I will layer chopped up artichokes and spinach and then pour the sauce over. My butternut squash did not caramelize. I steamed the squash for about 6 minutes and it was tender to the fork. I baked for about 35-40 minutes. Any suggestions? Not sure why it would not have cooked properly. Was the quiche pan you cooked it in the same size? I’m thinking if it was smaller the mixture would have been higher and thicker to cook through?? Also, just pulse the artichoke and spinach so you keep some of the texture. Hi Anja, once again you’ve posted another beautiful delicious looking recipe. I have two questions, do you recommend soaking the cashews for any period of time prior to blending, (I do not have a very high powered blender but it works well for most recipes) and do you think this quiche would freeze well if I decided to make ahead? This recipe look delicious and I can’t wait to try it! I do have one question…..in the video and on the ingredient list, you say 1 tablespoon of nutritional yeast. However what you poured in the blender looks like at least a half cup or more. What is the correct amount of nutritional yeast to be used? Thank you in advance, and your food is delish! This recipe has become a staple in my repertoire. I love it with a fresh green salad! Thank you Anja!! I gave this a shot last night and it was very good. I ground and sifted my own chickpea flour so that made it seem more difficult and then I accidentally set the oven at 350 so had to bake it longer in spite of using precooked potatoes. Never the less, my friend and I enjoyed it. Today I had it slightly warmed for breakfast and I liked it even more. Thanks for another winner. Hi Anja! I made this last night and it was a BIG SUCCESS!! Instead of artichokes I used some roasted peppers (here in Spain they are called “pimientos del piquillo”, and instead of the sweet potatoes I used mushrooms. My husband and I absolutely loved this recipe; tonight we are eating the leftovers and I am looking forward to it. I will definitely keep making this recipe in the future :). Thank you for your wonderful feedback. You can use http://www.cronometer.com to check nutritional info. Thanks for the suggestion! 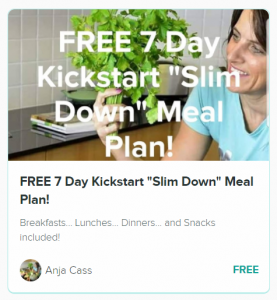 I also came across recipes.sparkpeople.com that has, as far as I can tell, a very good tool for calculating nutritional information for recipes. This looks delicious. I was wondering if quinoa flakes could be substituted for the oats, as I can’t eat oats. Thanks again for your wonderful recipes! You could even try some cooked quinoa. One other question: could sweet potatoes be substituted for the white and would you pre-bake them the same amount of time? Sweet potato will be too soft and not form a crust. Hi thanks for fab recipe. I was thinking of using broccoli j stead of the artichokes in the sauce. Would I add them raw or steamed? Also if using mushrooms or onions do you recommend lightly cooking theses first? I do own a high speed blender which would cope with raw vegetables. Thanks again. I would use steamed broccoli. And yes, cook onions and mushrooms first and drain off any excess liquid. Thanks for answering Anja, I have so missed your posts! Will you be doing more videos, recipe posts etc., once more? Also, do you have any plans for another cookbook yet? 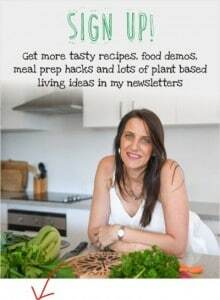 Yes, I’m doing at least one recipe video per week, as well as more cookbooks, weight loss course and What I Eat in a Day videos too! Made this today.Doesnt look as good as yours but I’m sure it will taste yum.Thankyou for these beautiful recipes. Made this quiche yesterday and it came out so yummy! Thank you for this awesome recipe!! I think next time I will replace the artichokes and try other veggies instead. Have you any suggestion. The best vegan quiche I’ve ever had! Thank you for this faboulus recipie! Next time I will try to replace the artichokes with some other veggies. Any suggestions? So glad you like the recipe as much as I do. Roasted eggplant would be nice in there! so thrilled to try – anything you can suggest replacing yeast or just simply skip it? You can use miso paste and tahini, perhaps some ground almonds, or just omit. Can I use coconut milk in this recipe? I personally wouldn’t because I would not want the flavor of coconut through the dish. Thank you for sharing this recipe Anja, you are so generous. I made it for lunch today and WOW! Absolutely delicious. This is going to be a favourite in the future and I can’t wait to serve it to some of my critical omni friends. It will blow their socks off hehe. Only problem is I’ve been a Miss Piggy and had 3 servings! My tummy aches……..
How much do the potatoes weigh? Also, do you slice them by hand, mandolin or Food Processor? thanks. I did not have any artichokes to hand and subbed it with steamed brocolli (mistake) makes the mixture too green and unappetising. I added 140g as apposed to the 280g weight of the artichokes. It seemed and looked far too much at 280g. I used my Vitamix blinder.. I do not recommend you use this for the whole recipe,. You could use it to blend the initial filling. But you cannot pulse the spinach in. It’s either full on which means you have a green Quiche or try to pulse and it is stalemate as impossible to just pulse vegetable in to mixture. If you have a Vitamix I would suggest making the liquid filling in it and then either transferring it to a food processor tompulse the vegetables or try cutting by hand. I did not like the texture of this recipe, I don’t know if I will try it again. It cost quite a lot of money in ingredients and the end result mostly ended up in the bin. Sadly, this one is not for me. Would suggest if trying it out maybe stick to the ingredients /recipe and you may get a fantastic result. 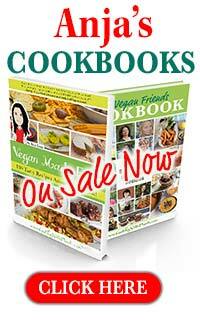 Anna – just discovered your web site and plan to order your cookbooks. One question on this recipe- by pumpkin do you also mean butternut squash? In the US pumpkin is sold puréed in cans while butternuT squash is sold in chunks in many supermarkets. It should be ok… you would need to do a test one. Hi Anja, I just made this recipe and only thing I subbed were mushrooms & caramelized onions. No artichokes or pumpkin. I have had similar result as others here where the texture is pasty and not firm. I also love tofu and will most likely use that next time. Anyway just wondering what it could be as I followed the recipe perfectly otherwise. I must admit the flavors is delicious so thank you for the inspiration! I find using the artichoke really helps to pull it all together. Mushrooms may have released too much moisture. Also, sometimes over-blending the mixture can lead to it not cooking through evenly.